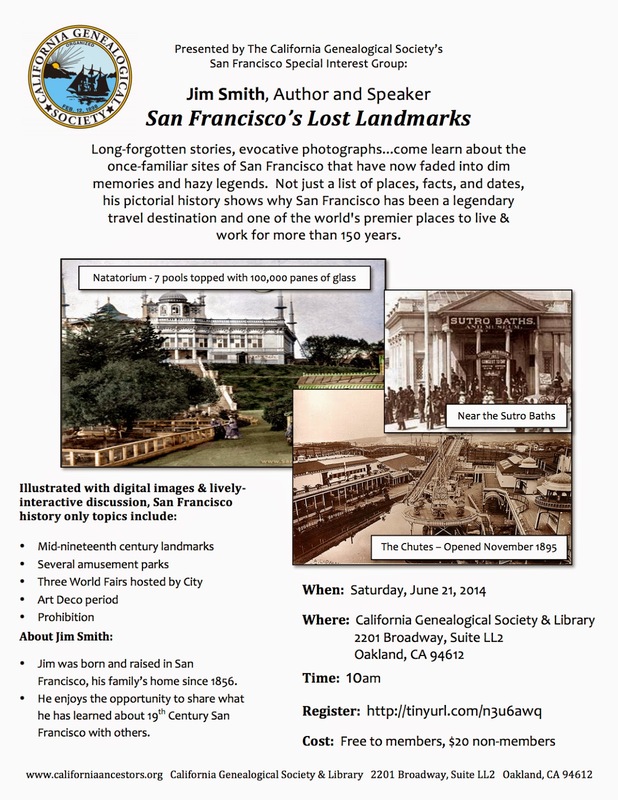 California Genealogical Society and Library blog: Don't Miss It: Jim Smith's San Francisco's Lost Landmarks - This Saturday 6/21! Don't Miss It: Jim Smith's San Francisco's Lost Landmarks - This Saturday 6/21! This Saturday, join the SF SIG to hear author Jim Smith give a presentation based on his book, San Francisco's Lost Landmarks!